1. Select the documents you want to edit by holding down CTRL to select (or to select a range of articles hold the SHIFT key and click the first and last of the articles that you want). 2. Under the Details tab on the left, you are notified that X number of documents has been selected, and that the edits you make will affect all selected documents. 3. Enter the information you wish to edit. 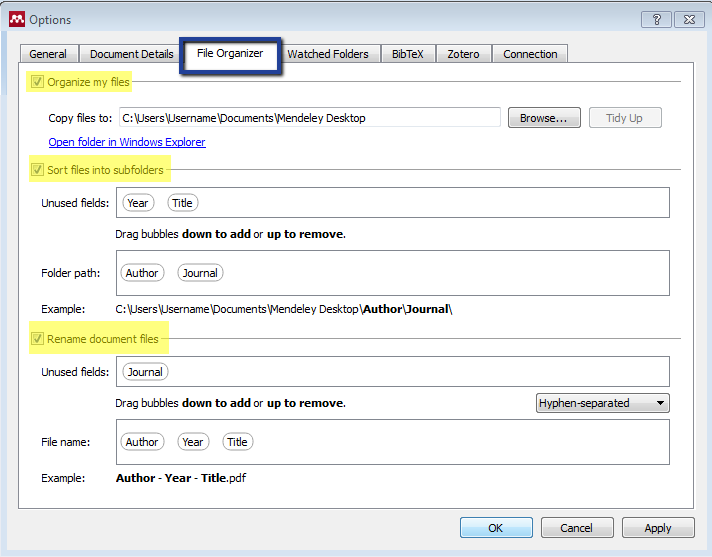 Using the File Organizer in Mendeley, also allows you to rename and sort your files on your computer oustide of Mendeley. 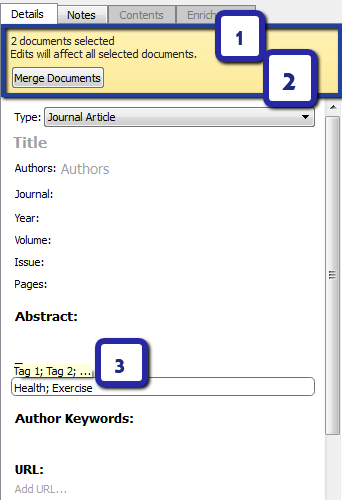 Go to "Tools" on the top navigation bar in Mendeley, then select "Options". Then, select the "File Organizer" tab. 3. Rename document files can be used to rename your PDFs according to the selected criteria.